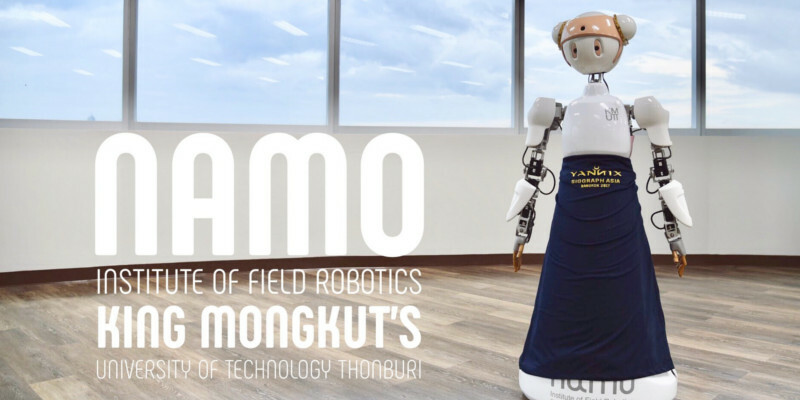 NAMO (Novel Articulated Mobile Platform) is a semi-humanoid presenter robot designed and developed by Thavida Maneewarn at the Institute of Field Robotics (FIBO) at King Mongkut University of Technology Thonburi (KMUTT). NAMO has been a presenter at multiple trade shows and opening ceremonies, and she has even appeared in a popular Thai television drama. At SIGGRAPH Asia, NAMO will be welcoming visitors to the Yannix booth at BITEC – Bangkok International Trade & Exhibition Centre. Due to our heavy investment in VFX research and development, Yannix has always been a strong advocate for engineering R&D projects of many sorts. -The MODBOT platform software and firmware development infrastructure. 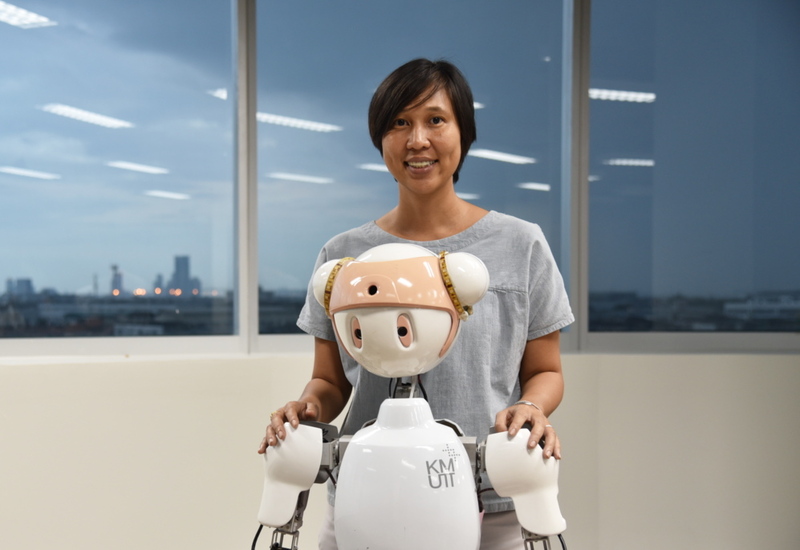 -Co-advising students involved in the Robocup humanoid and non-humanoid competitions. -Vision software development support for intelligent vehicle research. Be sure to visit us on Facebook and Instagram for more updates about NAMO and Yannix (Thailand). We hope to see you at our booth next week at SIGGRAPH Asia!